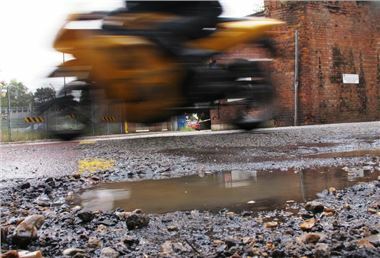 One-in-three drivers have had their cars damaged by a pothole, and 16% have been in or have seen an accident caused by a pothole, according to a poll by the Institute of Advanced Motorists (IAM). Of 2,600 respondents, 88% voted pothole repair as the top priority for their local councils, and only 14% believe their council is doing a good job of road maintenance. People in the South East of England were least pleased with local road maintenance – just 10% rating their council as good. On the other hands, 27% of Welsh respondents were happy with the level of road maintenance. Besides potholes, respondents believe that keeping foliage trimmed back from the roadside and resurfacing worn roads were important aspects of road maintenance.